Local attorney Rick Eichstaedt, who formed a legal defense team targeting polluters of the Spokane River and has led Spokane’s Center for Justice since 2012, will step down at the end of the month. 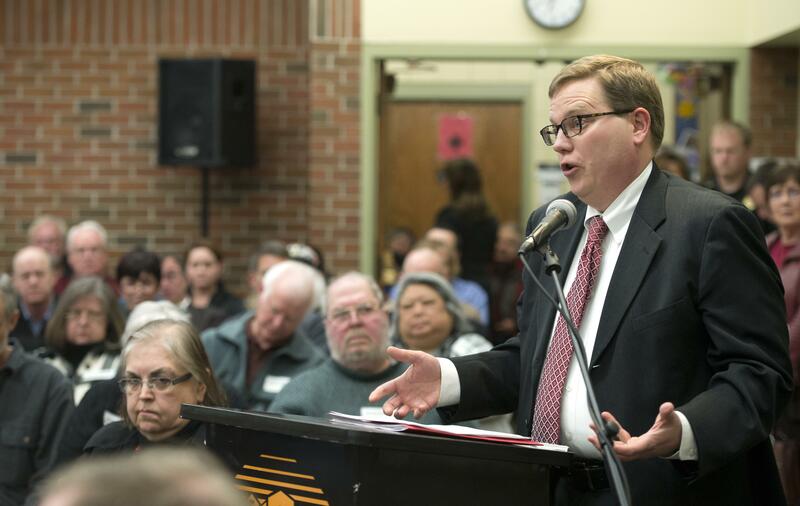 “I think it will be a good opportunity for the board, the staff, and the community to figure out what should the center look like in the future,” Eichstaedt said in an interview Thursday. Eichstaedt, 45, has been with the Center for Justice since 2005, initially serving as a staff attorney focused on environmental and land use litigation. The organization was formed in 1999 by Jim Sheehan to take up social justice causes that have included police accountability reform, housing assistance and, under Eichstaedt’s leadership, cleanup of the Spokane River. Eichstaedt assumed the reins from Breean Beggs, who is now serving as a Spokane City councilman representing the South Hill. Eichstaedt said if he considered entering politics, it would be in 2021, when the Spokane County Commission expands to five members. As leader of the Center for Justice, Eichstaedt represented the local chapter of the National Organization of Women in an ethics complaint against Mayor David Condon, which was eventually settled and led to changes in the way the city handles harassment. Eichstaedt was also the lead attorney in last summer’s defeat of Proposition 1, a ballot measure that would have asked voters to decide whether local police should be able to inquire about citizenship status. Eichstaedt said he would continue to work as the head of the Gonzaga Law School Environmental Law and Land Use Clinic. He also plans to work for the Confederated Tribes of the Coos, Lower Umpqua and Siuslaw Indians on environmental matters, but he’ll be based in Spokane. “It’s not like I’m disappearing from the community,” Eichstaedt said. The Center for Justice said in a news release it would conduct a search for its next director that is expected to conclude this summer. Hilary Hibbeln, a housing justice attorney with the center, will serve as acting director until a replacement is found. Published: May 3, 2018, 5:03 p.m.